No matter how new your boiler is or how well you take care of it, the time would still come when you’d need boiler repairs Harrow. Because of this, you have to look for gas engineers who can help fix your heating equipment and bring it back to life. Experience isn’t always a sign of great skill. Newbie gas engineers can do a great job even if they’re still starting out, while those who have been in the business for decades may not be as skilful as you thought. Still, experience does give you a clue on the performance of gas engineers Harrow. After all, if they can’t do a good job, they wouldn’t have been able to attract clients, keep their business afloat, and last for years. Before heating engineers can become accredited by trading bodies, they first have to prove that they’re skilful and knowledgeable enough to practise their profession. They also have to show that they keep up to date with the latest innovations in the industry and have adopted modern methods and equipment. So, in a way, accreditations serve as an assurance that a gas engineer is reliable and reputable and can provide you with excellent services. Here at Active Response, for example, we’re approved by Safe Contractor and are accredited by the Contractors Health and Safety Assessment Scheme (CHAS). This means that we have satisfied their stringent requirements and that we must abide by the rules and regulations of these organisations. One of the best ways to learn more about a gas engineer’s performance is to talk with his previous and current customers. What do they think about his work? Are they satisfied with the services he offers? Would they hire him again or find a better engineer? Asking these questions will help you gauge the satisfaction level of these customers and know their reaction to the gas engineer’s performance. If you hear mostly positive feedback, it’s a sign that you’re on the right track; if you hear a lot of complaints and negative comments, it’s a clue that you should find someone else. Gas engineers obviously deal with your home’s central heating system, but it doesn’t hurt to check if they offer the specific services you’re looking for. Do they offer annual boiler servicing and maintenance? Do they have the right equipment for powerflushing? Can they provide you with emergency services? Knowing the specific services that a gas engineer offers is important to ensure you’ll get the solution you need. Last but not the least, you should check the rates that a gas engineer charges. It’s not advisable to base your hiring decision on price alone, but it’s also important to find out how much you’ll spend on your boiler repair or maintenance, particularly if you’re on a tight budget. 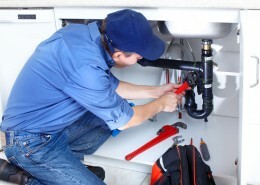 Take note of these important factors to choose the best possible plumbing and heating specialists Harrow!